TRANSCEND MEDIA SERVICE » All What Your Jeans Can (and Do) Hide! 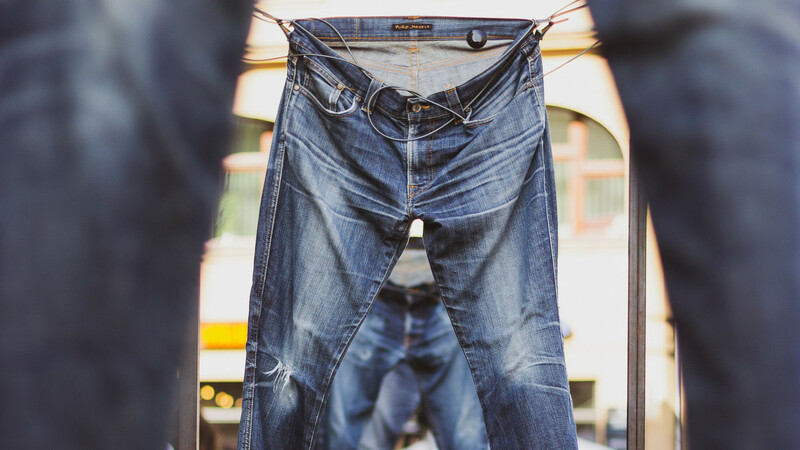 It takes around 7,500 litres of water to make just one single pair of jeans. 1 Apr 2019 – Paris, Milan, New York, Tokyo… These are just some of the world’s most prestigious fashion catwalks. There, and elsewhere, perfectly – and often unrealistically – silhouetted young women and men graciously parade to impress elite guests and TV watchers with surprising, fabulous creativity of the most renowned fashion designers and dressmakers. Yet, regardless of the amazing costs of such shows – and of what you may wonder how eccentric can be some of the displayed clothing – there is a hidden price that Mother Nature pays (and which is not included in the price tag). For its part, one of the top world bodies in charge of environmental issues UN Environment provides more conservative figures. It says that considering cotton production, manufacture, transport and washing, it takes 3,781 litres of water to make one pair of jeans. Furthermore, “the process equates to around 33.4 kilograms of carbon equivalent emitted, like driving 111 kilometres or watching 246 hours of TV on a big screen”. Please also know that some studies estimate that the average garment is worn ten times before being discarded. And that demand for clothing is projected to rise two per cent a year – but the number of times we wear them has dropped one third compared to the early 2000s. Well, the world specialised body goes further to inform that this waste costs money and the value of natural resources. “Of the total fibre input used for clothing, 87 per cent is incinerated or sent to landfill. Overall, one garbage truck of textiles is landfilled or incinerated every second“. The issue is so alarming that it has pushed 10 different UN organisations to join forces through an Alliance for Sustainable Fashion, which was launched on March 2019 in Nairobi during the 2019 UN Environment Assembly. Elisa Tonda, Head of the Consumption and Production Unit at the UN Environment , one of the 10 UN bodies involved in the Alliance, explained the urgency behind its formation: “The global production of clothing and footwear generates 8% of the world’s greenhouse gas emissions and, with manufacturing concentrated in Asia, the industry is mainly reliant on hard coal and natural gas to generate electricity and heat. If we carry on with a business-as-usual approach, the greenhouse gas emissions from the industry are expected to rise by almost 50% by 2030”. The UN Alliance for Sustainable Fashion seeks “to halt the environmentally and socially destructive practices of fashion”. No wonder: “The industry is the second-biggest consumer of water, generating around 20 percent of the world’s wastewater and releasing half a million tons of synthetic microfibers into the ocean annually”, UN Environment reports. Now last but not least: according to UN estimates: “The fashion industry wields considerable power. It is worth 1.3 trillion US dollars, employing around 300 million people along the value chain”. Baher Kamal, a member of the TRANSCEND Network for Peace Development Environment, is an Egyptian-born, Spanish national, secular journalist, with over 45 years of professional experience — from reporter to special envoy to chief editor of national dailies and an international news agency. Baher is former Senior Advisor to the Director General of the international news agency IPS (Inter Press Service) and he also contributed to prestigious magazines such as TRANSCEND Media Service, GEO, Muy Interesante, and Natura, Spain. He is also publisher and editor of Human Wrongs Watch.